Farmhouse Isolotto welcomes its guests in the tuscan countryside, just 400 m from the sea. It is a peaceful and quiet place to enjoy with your partner or family! The spaces of the farmhouse are placed in the center of an agriculture company that produces fruits and vegetables. This property is crossed by a private dirt road that allow guests to reach the nearest beaches within 5 minutes by foot. 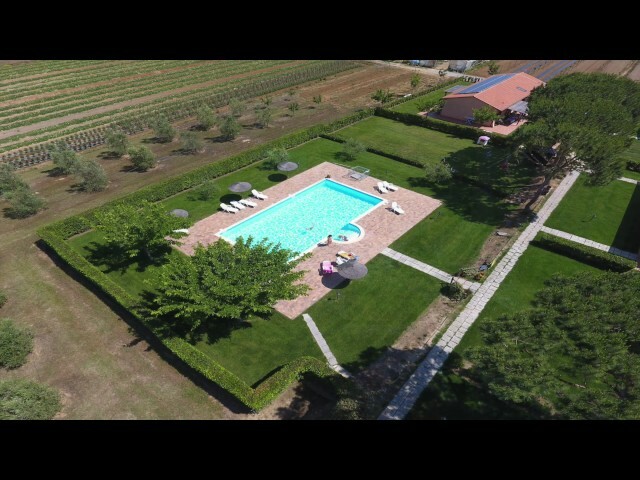 To appreciate the nature surrounding the farmhouse and enjoy its tranquillity, guests can dispose of a big pool equipped with loungers and umbrellas. There is even a playground on grass for younger guests. The happiness and the satisfaction of the guests are the first concern of the owners, always ready to offer useful tips and info about the territory. The Farmhouse Isolotto is organized to grant a relaxing stay to adults and children. Fruits and vegetables produced in the agriculture farm that hosts the farmhouse. Every apartment is surrounded by a small private garden. Playground for the younger guests. Every apartment is equipped with air conditioning. Located in the property, reserved to guests.